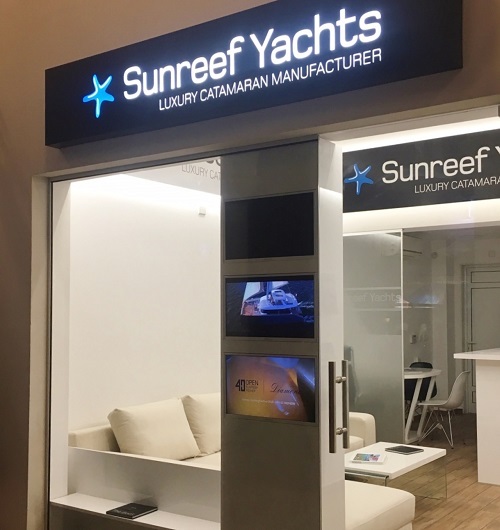 An expert in the yachting industry, Multihulls Cyprus Ltd exclusively represents Sunreef Yachts, the Polish luxury catamaran manufacturer in Cyprus. Covering a wide spectrum of services including new yacht sales, brokerage, maintenance, management, chartering and refits, the company has grown into a market leader, offering the highest quality of service while representing major brands: Sunreef Yachts, Hanse Yachts, Moody, Dehler, Fjord, Sealine, Selene Ocean Trawlers. Since 1997, A.K. Mediterranean Yachting Ltd has grown on the foundations of our original core values: dedication to quality, strength and integrity. The philosophy of our company is based on the respect towards the customer. In our showroom we have models of boats ready for sale both new and used from the renowned shipbuilders that we represent Benetau, Regal, Crownline, Bsc and Topline. After sale service is one of our expertise. 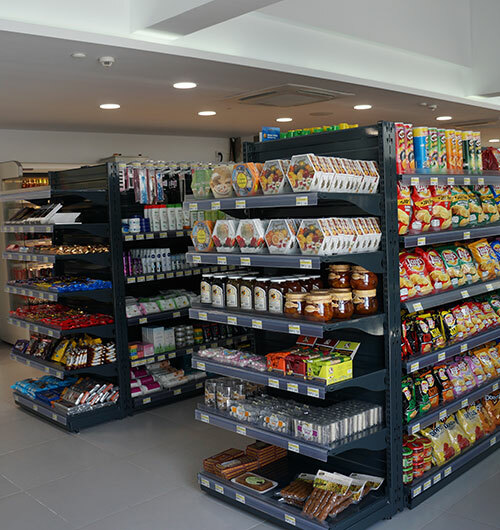 Limassol Marina’s mini-market offers a range of products for the convenience of all visitors, residents and crew. Alphamega is one of the largest chains of supermarkets in Cyprus, owned by C.A. Papaellinas Emporiki Ltd, founded in 1997. Stores carry both standard and exclusive brand names such as Tesco, Fiorucci, Borgain, private label brands and many locally produced goods, plus imported and specialised deli products. Ancora is one of the most significant Italian brands producing elite hand-made fountain pens combined in theme-based collections. Their aesthetically pleasing design and high reliability made Ancora’s writing instruments famous abroad, especially in North America and European countries. Boxes, lodgements, cases and nibs are also available in the store. Après Ski is a boutique concept store featuring an eclectic mix of hand-picked items inspired by the Mediterranean lifestyle. It makes its debut on the island with a new store at Limassol Marina, presenting a series of seaside-inspired items from across the globe, such as rustic sandals and panama hats, exclusive eyewear from established brands, including Mykita, Gucci and DITA, iconic pieces of jewelry by Greek designers and many other elegant accessories. 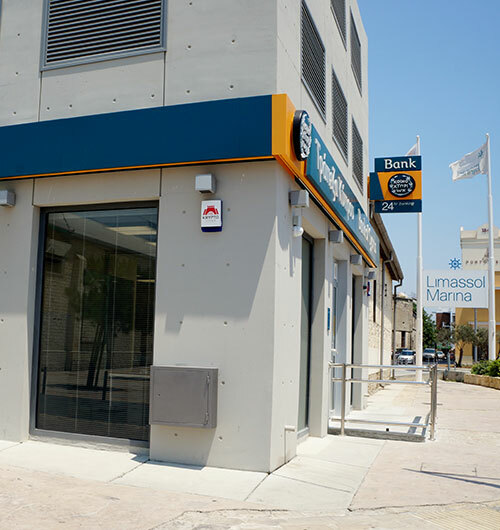 The Bank of Cyprus branch of Limassol Marina is located in the office adjacent to the ΤΡΑΚΑΣΟΛ Cultural Centre. Open from Mondays until Thursdays from 08:00 – 14:30 and on Fridays from 08:00 – 14:00, the bank is a welcome addition to the package of convenience on offer for all residents and visitors. The Cash Office offers full cash banking services and 24 -hour ATM Service. With a wealth of knowledge in the field of pleasure boating, BPY offer clients a choice of mega yachts, yachts, cruisers, power and sailing boats with maintenance and technical service to suit. Operations are based in both Cyprus and Lebanon to include major brands: Azimut | Bennetti, Sea Ray and Elan Sailing. BPY are also the official dealer of Kohler generators, Gianneschi pumps and blowers and Seabob water toys. An elegant lounge adorned with sophisticated décor, characterised by distinctive elements designed to offer a tranquil sanctuary, where cigars and quiet conversation can be enjoyed by visitors. The 10 square metre walk-in humidour, with top of the line offerings of premium cigar brands, includes Cohiba, Montecristo, Partagas, Trinidad, Romeo Y Julieta, Davidoff. A sophisticated range of wines and spirits is also displayed on the second floor. 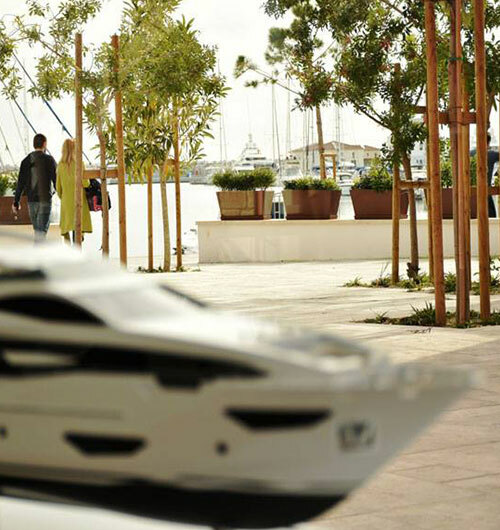 All your yachting and marine needs can now be met at Limassol Marina. Comar Marine provides a broad spectrum of equipment and hardware to facilitate all maintenance and safety jobs. From compounds, thinners, life rafts, tenders, anchors, ropes and antennas to water tanks, spot lights, fuel pipes and control panels. Comar provides the expertise and variety to source the most detailed requirements. Part of the prestigious Lanitis Group, Cybarco is Cyprus' leading luxury property developer. The company is responsible for the project management and exclusive sales of properties at Limassol Marina. It is also behind many of the island’s landmark projects including Akamas Bay Villas, Sea Gallery Villas and The Oval. It is renowned for its outstanding quality and customer satisfaction, delivered to the highest standards. Be the first to explore the brand new Diesel collections in the first Diesel shop in Cyprus. Feel a unique shopping experience by taking a closer look to the most inspired pieces, made in Italy. All, male and female, hand made-treated denim pieces, as well as apparel, leather bags, shoes, timeframes, shades, fragrances, will drive you to the ultimate shopping destination in Cyprus. EKKA Yachts Cyprus started business in 2000 as sole importers and distributors of the famous Italian shipyard Ferretti. Today the Ferretti Group is one of the largest Group of Shipyards in the world producing luxury yachts from 40 feet to 80 metres. The Group comprises the following shipyards: Ferretti, Pershing, Riva, Itama, Bertram, Mochi Craft, CRN. 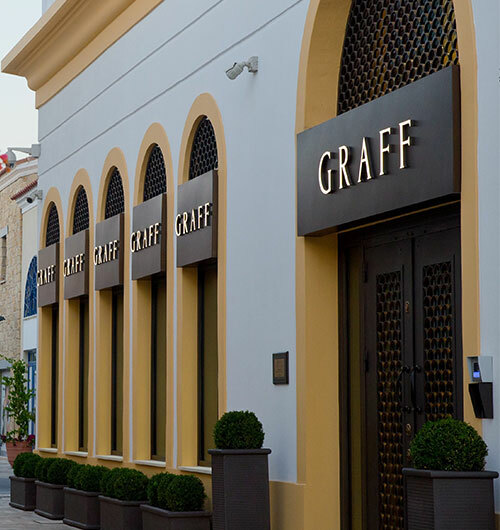 The home of fine jewellery that is synonymous with the name Graff – known around the world for the design, manufacture and retail distribution of high-end jewellery and watches. Sparkling variety of rings, bracelets, earrings, necklaces, pendants and watches. Each collection is available in multiple gemstone versions from white, yellow or pink diamonds, to richly coloured red rubies, blue and pink sapphires and vibrant emeralds. 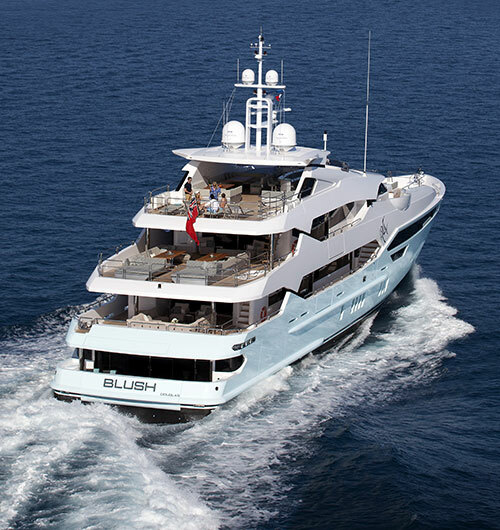 Hill Robinson offers unparalleled services worldwide to assist in running large yachts safely and efficiently, covering all aspects of yacht ownership, crewing and operations. We provide project management for new builds or refit, technical and compliance management for existing superyachts or a tailor-made range of services for a specific yacht. Whether you are an owner, a captain or an industry professional, we will find the solution that suits you best. iStorm is an Apple Premium Reseller (APR) store, where customers can find the full Apple product line and accessories for their favourite Apple devices. Offering excellent customer service in a customer-friendly environment, it is definitely the place to be, both for new and existing Apple customers. The company offers a range of car categories, from luxury to low-cost rentals, with the best brands and most established models in tow, all well-maintained. 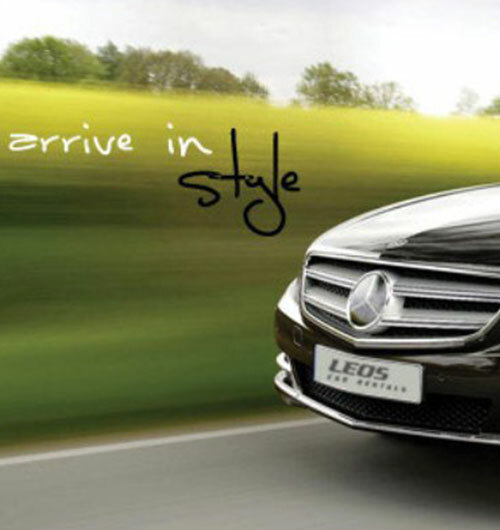 Its services are located in Paphos, Larnaca airport, Nicosia, Limassol, Ayia Napa, Famagusta and Polis. Clients are given the liberty of selecting a designated pick-up/drop-off location across the island. Taxi transfer services and guided Segway tours are also available. Involved in marine business in the Eastern Mediterranean region, Maritime Ventures offers new and pre-owned branded yachts, as well as maintenance, repairs, refits, transfer of yachts, moorings, registrations and sales. 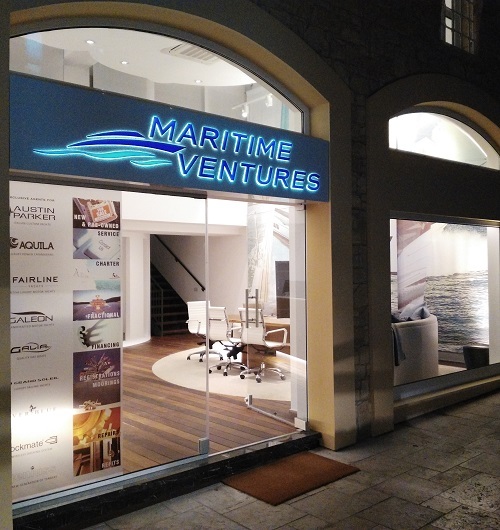 Operating in Greece & Cyprus with direct company presence, and in Lebanon and Israel through local representatives, the Maritime Ventures team provides full ownership solutions and promotes cruising so that owners can enjoy the yachting lifestyle. At Moda In we offer a hand-picked selection of exclusive, high fashion clothing items, accessories and shoes from Ralph Lauren Collection. Set in our luxurious surroundings, we can assist you in finding the perfect outfit for any occasion, casual or formal, day or night. Amongst other exclusive accessories, we have a large selection of the iconic Ricky Bags by Ralph Lauren available at our store. Operating since 1995, Nautimar Marine offers a broad range of leading brands: Van der Valk Continental Yachts, Chris-Craft, Joker Boat, Chaparral and Robalo boats. Services include sales, brokerage and chartering, yacht management schemes, new build and refit management, and owners’ representative services. Nautimar Marine also offers worldwide chartering/sailing holidays and yacht ownership programs. PAG Boutique opened its third store at Limassol Marina offering unique sportswear and yachting lifestyle items. Its selection includes deluxe brands such as the RLX premium-technical Ralph Lauren line, the Swiss ON running shoe and the finest handmade Bermudas. The children’s section offers a range of premium sunsafe swimsuits such as Coolibar, an array of selective athletic fun games and the best brain fitness toys which challenge the brain in an engaging way. 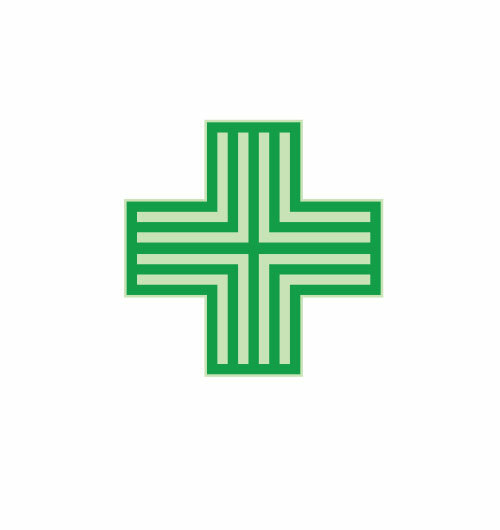 The reputation of Dora Theophilou Pharmacy is built on trust in their knowledge and expertise to advise and aid with most aspects of health and care. Categories include: Medicines, over-the-counter products, travellers’ health, vitamin and food supplements, baby care, dermo-cosmetics, sun products, first aid, medical devices, anatomical and orthopedic products, complimentary therapy, clinical nutrition, feminine care, men’s care etc. 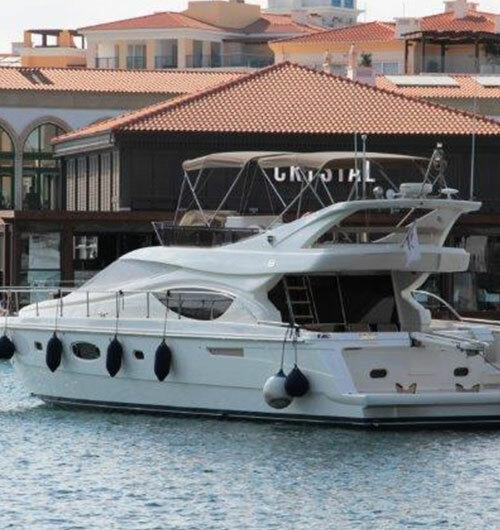 Princess Yachts (Cyprus) is the sole distributor in Cyprus for the Princess range of luxury motor yachts, since 1997. Our long-standing and close relationship with Princess Yachts International which is a member of Louis Vuitton Group, has given us an unparalleled technical understanding of Princess yachts, and the requirements of our enthusiasts, friends and customers, who seek adventure in luxury and comfort aboard yachts supported by ourselves. Ship2Shore offers a complete range of casual, boating and beach clothing for all ages and sizes. Clients can customise garments using high-quality embroidery, direct to garment printing, vinyl cut & rhinestones; ideal for crews, families, boat owners, businesses, restaurants, schools, sport clubs and celebrations. From the newborn baby to the discerning yachtsman, we provide casual, beach and head wear. 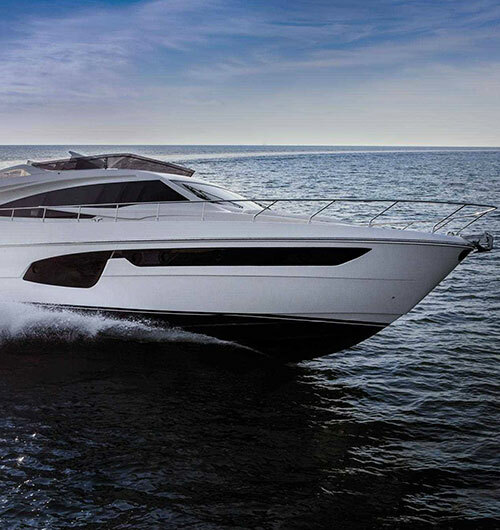 Sunseeker Cyprus, and member of the Sunseeker London Group, is the exclusive distributor of Sunseeker motor yachts in Cyprus. Whether interested in acquiring a new or pre-owned yacht, or simply chartering for a memorable sailing experience in the Mediterranean, pre and after-sales service of the highest standards comes as a package. 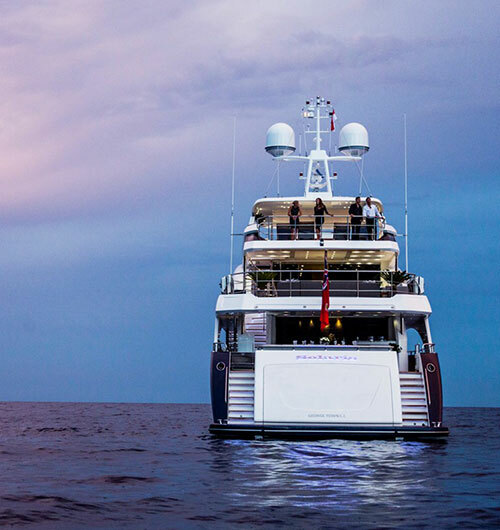 Committed to offering the yachting experience which leaves nothing else to be desired. All your comfortable sailing needs, from the yacht itself to a whole range of equipment that will transform it into a floating home. Dealers of Cranchi yachts, Tutimare is also a distributor of various systems, including: Generators, air-conditioning, HRO sea recovery systems, fish finding equipment, radio direction finders, sanitation systems, innovative electrical systems and other boating accessories as well as dometic products. With a network of 62 stores in 21 countries, the French house of Zilli is the global reference for haute couture menswear. The extraordinary story of Zilli, first established in 1965 in Lyon, is rooted in the passion of one family, who transformed a small specialist leather workshop into a world-famous business. With top quality materials Zilli is offering iconic luxury leather jackets, coats, suits, shirts, footwear, knitwear and denim.